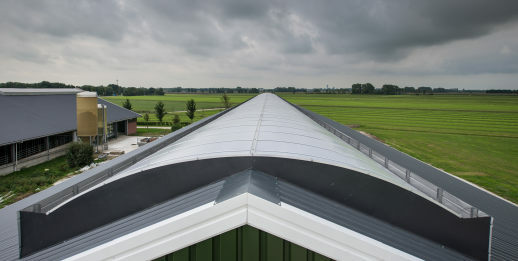 An Airkoe light ridge on your barn removes stale air and optimises natural light without raising the temperature. Good building ventilation is vital to maintaining healthy, productive animals; reducing infections, respiratory problems and heat stress. These Airkoe light ridges were designed by two former dairy farmers who use their practical experience and engineering knowledge to produce innovative, high quality products. Professionally assembled, delivered and installed to a high standard. Individually designed and built to match your needs. 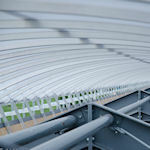 See pictures of light ridge installations.